I am using tikz and minipage to create a note box inside a description list. The problem I am facing is that I practically do not have any control over the positioning of the minipage and the corresponding note text. 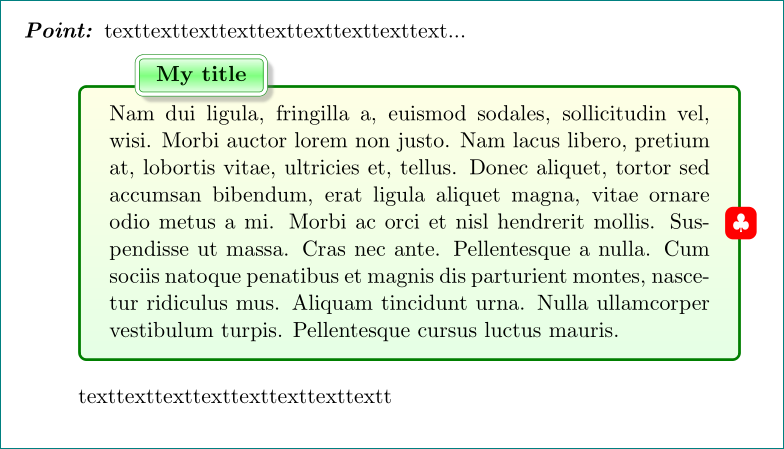 I would want to position the note text in such a manner in which the surrounding text is not wrapped around it (by which I mean no inline embedding), and I could position the note box in accordance with the layout of the page (say take it left, or right, or position it around the center, et al.). Can anyone suggest a method to achieve both of the above? The MWE follows.